An uptick in the international visitors to Canada in 2017 and a further 1.8 per cent hike in the first three-quarters of this year - including a whopping 47 per cent growth in Mexican tourists, thanks to a removal on visa requirements - has meant there was a lot to be happy as the Tourism Industry Association of Canada kicked off its annual conference in Gatineau, Quebec, Wednesday morning. The latest figures on world tourism issued by the World Tourism Organization show that international tourist arrivals grew 5% year-on-year in the first nine months of 2018. This reflects continued strong demand in a favourable overall economic context. All world regions enjoyed robust growth in international tourism in the first nine months of this year, fuelled by solid demand from major source markets. Asia and the Pacific led growth , followed by Europe and the Middle East , Africa and the Americas . Preliminary data on international tourism receipts released by the World Tourism Organization confirm the positive trend seen in tourist arrivals worldwide. Strong results were particularly seen in Asian and European destinations. In Asia, China recorded a 21% increase in tourism earnings, with Macao and Japan also leading results with 20% and 19% growth, respectively. 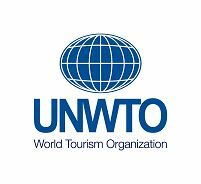 The 3rd UNWTO/UNESCO World Conference on Tourism and Culture will be held next month in Istanbul, Turkey. The theme of the 2018 World Conference is ‘For the Benefit of All'. 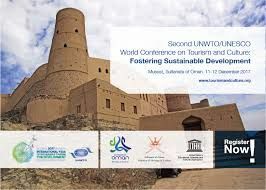 This year's conference will build on the outcomes of the two previous editions of this event and their respective Declarations: the 2015 Siem Reap Declaration, which recommended closer and targeted partnerships between stakeholders of culture and of tourism; and the 2017 Muscat Declaration, which committed its endorsees to enhancing the contribution of tourism and culture in national SDG strategies. Reflecting continued strong demand in a favourable overall economic context, international tourist arrivals grew 5% year-on-year in the first nine months of 2018, latest figures on world tourism issued by the World Tourism Organization reveal. This growth was fuelled by solid demand from major source markets. All world regions enjoyed robust growth in international tourism in the first nine months of this year. Asia and the Pacific led growth , followed by Europe and the Middle East , Africa and the Americas .